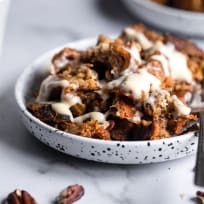 Carrot Cake Instant Pot French Toast gives you all the goodness of the overnight dish, in a fraction of the time. Hello, brunch!! 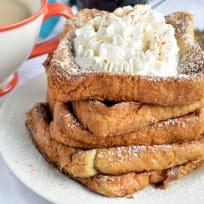 Learn how to cook French Toast! Your breakfast will be epic. 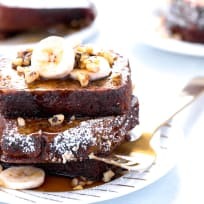 Step up your banana bread game with this easy Gluten Free Banana Bread French Toast! It's kid-friendly, freezer-friendly, and can be made dairy free with one simple swap! Toast need not be so plain and boring. Consider these toast recipes and prepare to have your culinary world rocked. We're not gonna beat around the bush or lie: these are the best french toast recipes ever created by mankind. 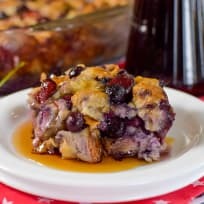 This cherry blueberry French toast bake will make 4th of July breakfast an event all its own. Fireworks and French toast make for an epic holiday if you asked us. Chai tea French toast will totally jazz up your brunch menu. This classic brunch dish is infused with the spiced flavor of chai tea, and it's SO good! Granola French toast is out of this world! Crunchy sweet granola gives way to a soft interior, making for one amazing bite. Ham and Brie French toast is a sweet and savory match made in heaven. Almost like a Monte Cristo, this sandwich is perfect for breakfast, brunch, lunch and brinner! French toast with warm bourbon vanilla syrup... what can we say? Big fat slices of French toast dipped in an eggy custard and then grilled. Topped with a simple warm bourbon vanilla syrup and powdered sugar this is one breakfast dish you won’t soon forget! Chocolate Strawberry Brioche French Toast is exactly what you should make to surprise your sweetie with. Breakfast in bed never looked so good.